Check Rates & Availability at Courtyard Birmingham Homewood! Blending comfort and convenience, Courtyard Birmingham Homewood elevates your travel expectations. Ideal for students and families, our hotel features easy access to the campuses of Samford University and The University of Alabama at Birmingham. 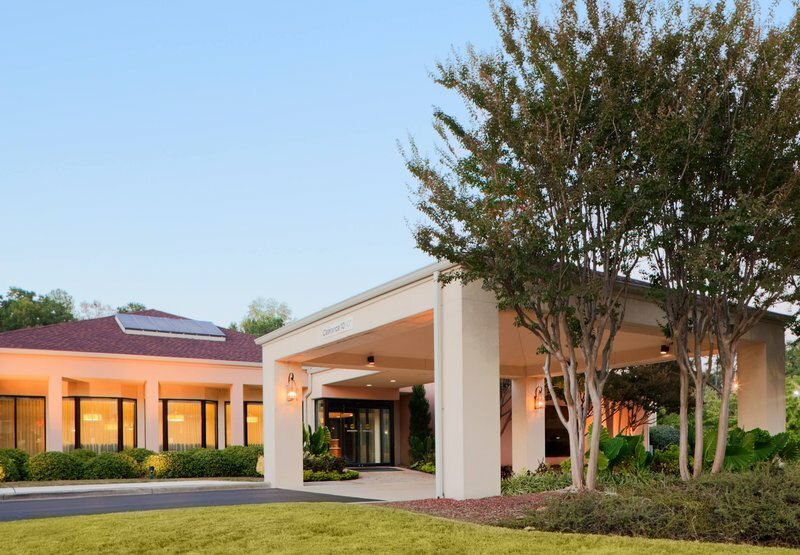 Brookwood Hospital, downtown Birmingham and Mountain Brook, Alabama are also located near our hotel. After a busy day, retire to our rooms and suites with stylish decor and plush beds. We meet your high-tech needs with complimentary high-speed Wi-Fi and flat-panel TVs. Whether hungry in the morning or evening, The Bistro has you covered. Our restaurant's menu features breakfast and dinner options that pair perfectly with Starbucks beverages and specialty cocktails. Work out in our 24-hour fitness center complete with cardio machines and free weights. Later, cool off in our refreshing outdoor pool. Whether traveling for business or leisure, reserve accommodations at Courtyard Birmingham Homewood for a successful visit to Alabama. The Bistro Eat. Drink. Connect. Your food and beverage destination for refreshing breakfast choices in the morning, and a variety of dinner and cocktail options in the evening. The Bistro also offers specialty beverages made with Starbucks coffee to help you get a jump on the day. Wake up refreshed and ready to go with coffee from our on-site Starbucks Coffee Shop. Enjoy a cup of Starbucks coffee when staying at our Homewood hotel.